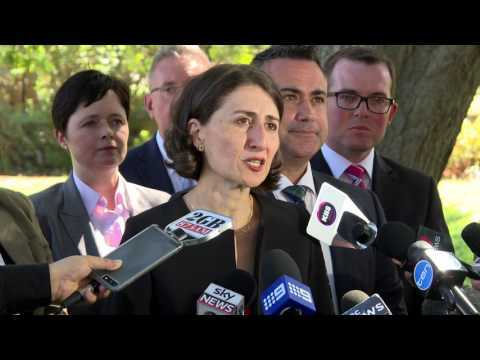 NSW Premier Gladys Berejiklian and Deputy Premier John Barilaro today announced a fresh team that will ensure every community gets its fair share of the State’s economic success. “Our new team will work hard to make life easier for people right across NSW,” Ms Berejiklian said. There are seven new faces in a Cabinet that will deliver the benefits of six years of strong economic management to everyone in NSW – four Liberals and three Nationals. Mr Barilaro said the new Nationals ministers would bring a fresh approach and energy to an already experienced ministry. “As partners in the NSW Coalition Government, it is the job of my Cabinet Ministers to ensure that the people of regional NSW get their fair share of services and infrastructure and we are determined to deliver for them,” Mr Barilaro said. The Premier said the new team would make sure each community across the State receives the services and infrastructure it needs. “We will deliver local infrastructure and services on the ground, to every corner of the State, maintain a strong economy and ensure we tackle major challenges such as housing affordability,” Ms Berejiklian said. For the first time, there will be a dedicated Minister for Counter Terrorism as well as a dedicated Minister for Australia's largest infrastructure project, WestConnex. The Deputy Premier will take on the role of Minister for Regional NSW, along with the Skills and Small Business portfolios. Ms Berejiklian and Mr Barilaro thanked outgoing ministers Adrian Piccoli, Jillian Skinner, Duncan Gay, John Ajaka and Leslie Williams for their service to NSW. The new Cabinet will be sworn in at Government House tomorrow afternoon.